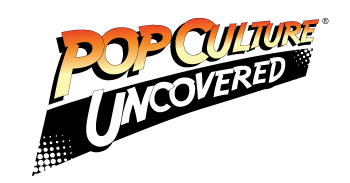 Kickstarter, Mars Attacks and Judge Dredd? Do you even need details? Ok, read on! 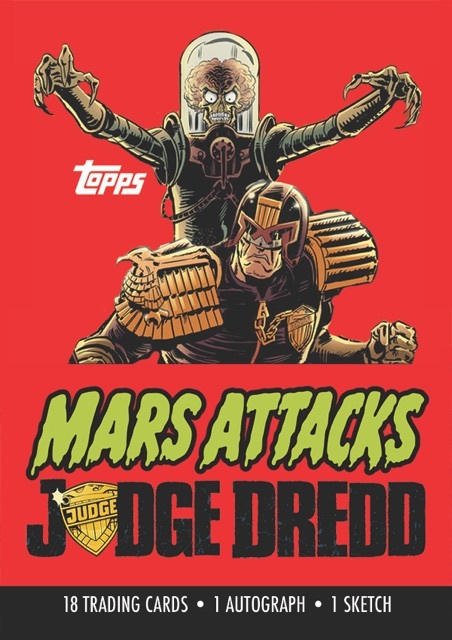 In an arrangement with 2000 AD, Topps announces today an exciting, exclusive new collaboration to its Mars Attacks Kickstarter campaign! Through Topps’ Mars Attacks: Occupation Kickstarter, fans can now pledge to receive a special, limited-edition trading card collector pack: Mars Attacks/Judge Dredd! This 20 card set— based on the comic book miniseries of the same name published by IDW in 2013– will come packaged in a vintage wax wrapper and will include 1 creator autograph and 1 hand-drawn sketch card. The packs can be pre-ordered on Kickstarter by selecting any existing reward level (for as little as $10) and adding $50 to their pledge for each pack they wish to pre-order. Topps’ Kickstarter campaign was fully funded in less than 7 hours on its first day live, and has already met several exciting stretch goals that added new, bonus content for fans. The Mars Attacks: Occupation card set will feature 72 base cards, exciting insert cards, plus loads of new artwork from artists including Greg Staples, Bob Larkin, Ed Repka, Dan Brereton, and Alex Horley, among others! The campaign, now live, ends June 1 so fans are encouraged to act fast. The product is scheduled to ship in December.